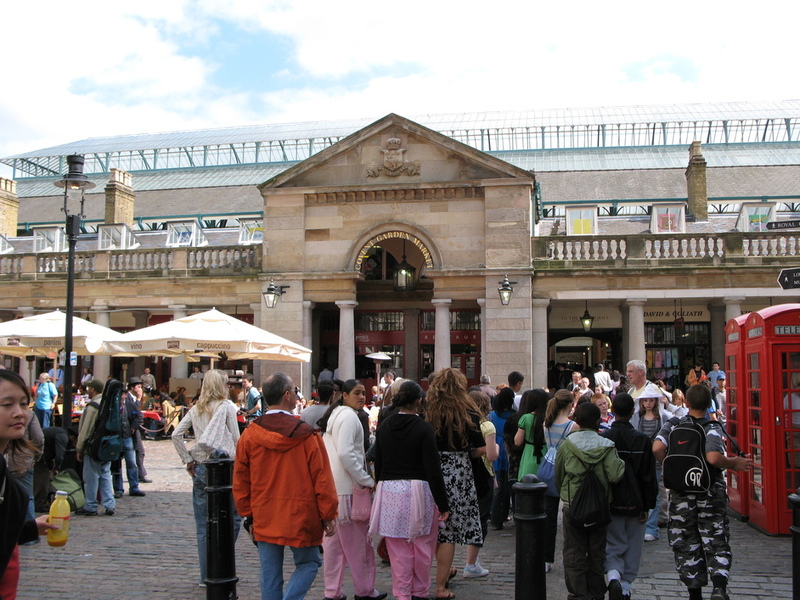 A visit to Covent Garden is a must, whether you intend to shop, sightsee or soak in the carnival atmosphere. The focal point of Covent Garden, the market, has dominated the area ever since the Middle Ages when monks tended their market garden here. Since the 19th century the market has expanded. The Garden is a mecca for shop-hoppers because of the variety available here. High Street outlets include Oasis, French Connection, Next, Hobbs, Marks & Spencer and Mango. Menswear is available at Diesel, Replay, Firetrap and for the smarter guy, Paul Smith. There are a huge number of women's fashion stores and Neal Street, which runs out of the Piazza, is probably the best shoe shopping street in the capital, with numerous trendy outlets including Office, Foot Locker and Size. If (perish the thought!) you tire of clothes shopping there are scores of excellent spots for a coffee. If you're still keen to shop remember to pay a visit to the excellent Kite Shop or have a fiddle around in the Gadget Shop. To get to Neal Street turn LEFT when you leave Covent Garden station, cross over the road and then go around the side of Marks and Spencer. To get to Covent Garden Market turn RIGHT when you leave the station which leads straight to the Piazza and the Market Hall. What are the best dining options near Covent Garden East Piazza London? Covent Garden East Piazza gyms, sporting activities, health & beauty and fitness. The best pubs near London Covent Garden East Piazza. Covent Garden East Piazza clubs, bars, cabaret nights, casinos and interesting nightlife. Where to have your meeting, conference, exhibition, private dining or training course near Covent Garden East Piazza. From cheap budget hotels to luxury 5 star hotels see our discounts for Covent Garden East Piazza hotels, including St Martins Lane, A Morgans Original from 83% off.